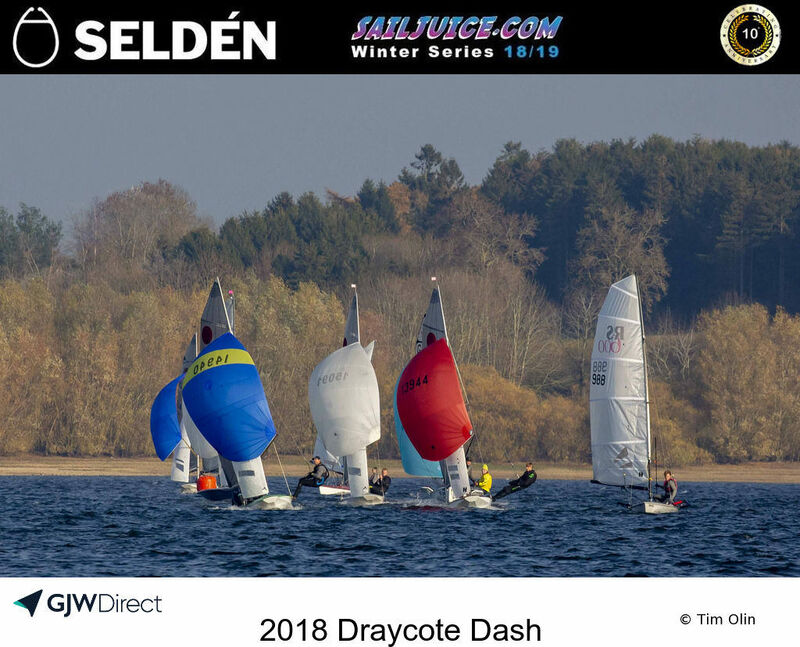 The opening event of the Seldén SailJuice Winter Series couldn’t have enjoyed a better weekend. Light to medium airs made it possible for the race committee to hold four back-to-back handicap races on the Saturday. Sunday was slightly stronger breeze for the non-discardable Pursuit Race, and the Great Lakes numbers proved their worth, producing nine different classes in the top 10, and 17 classes in the top 20 overall. However, the otherwise impeccable performance by Schooling was offset by a moment of misjudgement sailing through the start/finish line during one lap of race 2 on Saturday. “I was approaching the committee boat end of the line slightly under layline,” said Schooling. “I had a boat on my hip and so I couldn’t be sure of tacking and crossing ahead, so I squeezed for the line and didn’t quite make it.” The result was the Musto Skiff hitting the committee boat, capsizing, and doing a full circumnavigation of the committee boat before Schooling eventually righted his boat, took a penalty and continued the rest of the race. Finish position on handicap: 56th place. However, his other scores from the day were 1,1,6, putting the Musto Skiff in overall first place at the end of Saturday, once the discard had kicked in. On Sunday morning the two Toppers of local youth sailors, Joseph Rowe (age 12) and Clemmie Middle (age 11), started first in the two-hour Pursuit Race. The breeze was blowing quite strongly at the start, came and went a bit during the race, but mostly gave the trapeze boat sailors an opportunity to stretch their legs and for most of the faster boats to get planing offwind. Rowe led for most of the first hour but gradually the rest of the fleet closed the gap and the race began to see who would be leading at the 1pm rolling finish line. Jasper Barnham and Serena de Nahlik were making the running in their 2000 as the clock ticked down but Schooling snuck past the Snettisham Beach duo with just 10 seconds to spare. The top three finishers in the Pursuit Race ended up as the top three overall, albeit in a slightly different order. Schooling was the clear winner, last year’s GJW Direct Sailjuice Winter Series champion Alistair Goodwin was third in the final race but second overall in his Laser, while Barnham and de Nahlik were third overall in their 2000. As the winner, Schooling was awarded the book of his choice and opted for the mighty tome by Bob Fisher, the great journalist’s in-depth history of the America’s Cup called ‘An Absorbing Interest’. 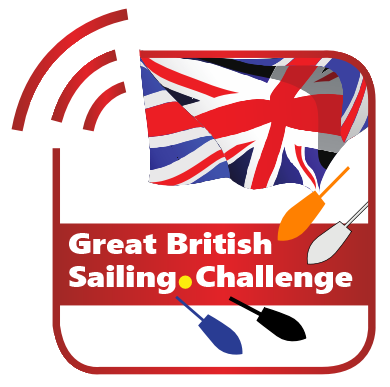 Results This event brought many big names to Draycote, such as Roger Gilbert and Ben McGrane (7th in a 505), former Fireball World Champion Tom Gillard (9th in a Solo) and Fernhurst Books author Nick Craig crewed by Emma Clarke (44th in a Merlin Rocket). This was also a celebration of the diversity of UK dinghy racing, with boats as varied as Colin and Oly Murray’s spectacular Norfolk Punt, the three-man National 18 skippered by former Series winner Pete Gray, the Challenger trimarans and a gathering of eight Hadron H2 singlehanders competing for their Inland Championship. Having survived a life-threatening crash on his bike earlier in the summer, Simon Hawkes was out crewing for his son Ben in their Osprey, and their plan is to compete in all seven events this winter. Next up for them and many others is the Datchet Flyer on 8 & 9 December. It’s also worth noting the 70-boat entry limit for Round 3 at the Yorkshire Dales Brass Monkey on 27 December.